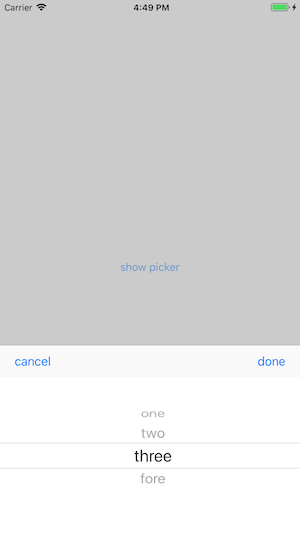 PTDPickerViewController can implement the screen composed of UIPickerView, Cancel, and Enter button with simple code. An array of Strings to display on the picker. Can set display language of cancellation and decision button. You can specify an index to check picker by default when displaying the screen.